Toronto seen at night from the CNN Tower. Photo by Jim Richardson. In the U.S. alone, there are about 16.2 million public and commercial outdoor light fixtures including streetlights, parking lot lights, and lighting on commercial buildings. Although residential outdoor lighting isn’t as bright as that of public and commercial outdoor light fixtures, there’s certainly a lot more of it – about 1 billion light fixtures in all! 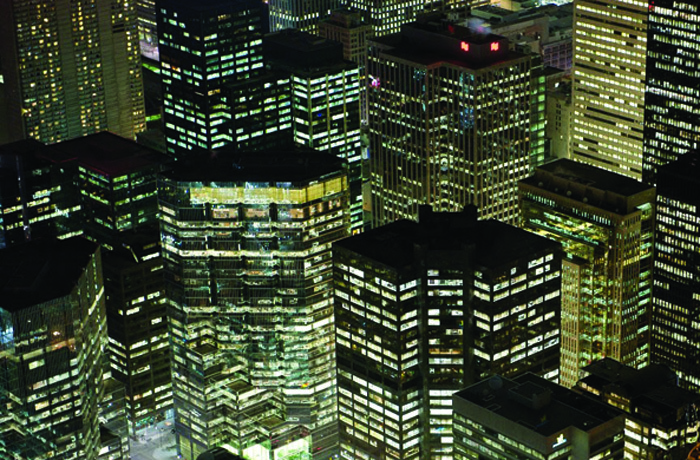 Unfortunately, much of our lighting is inefficient, poorly installed, and/or unnecessary, which causes light pollution, increases carbon emissions, wastes money, and puts our safety at risk. Does the area really need to be lit? Do any of the fixtures emit light above 90 degrees? Is light trespass (light falling where it is not intended, wanted, or needed) an issue? Is glare (excessive brightness that causes visual discomfort or difficulty seeing) an issue? Don’t light an area if it’s not needed. To save energy, don’t use excessive amounts of illumination. Use timers, dimmers and motions sensors whenever possible. Use only “full cut-off” or “fully shielded” lighting fixtures. That means no light above the 90-degree angle. Fully shielded lighting can be purchased or retrofitted. See below. Use energy-efficient lighting sources and fixtures. Only use lighting sources with correlated color temperature (CCT) no higher than of 3000K. [link to FSA Standards PR] Most lighting products provide this information on their package labeling. All of these recommendations should improve the quality of your outdoor lighting by minimizing glare, light trespass, skyglow and energy waste, while improving the efficiency and ambiance of your outdoor lighting. 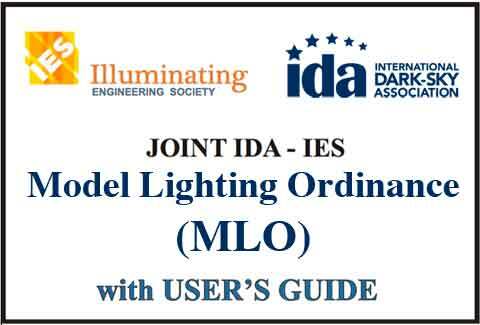 IDA maintains a searchable database of lighting products certified by our Fixture Seal of Approval program to reduce glare, light trespass and skyglow. 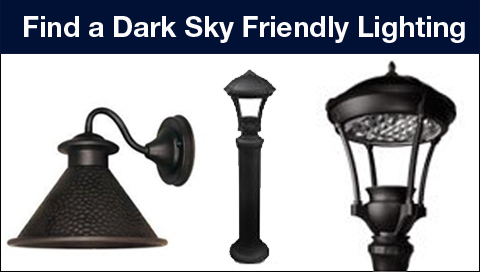 Search our database or look for IDA Fixture Seal of Approval on outdoor lighting at your local retailer.